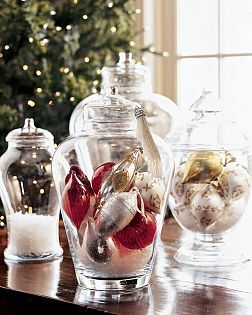 Apothecary jars are great accessories no matter what time of year. They are versatile and can be filled with almost anything to lend a sense of design and style. 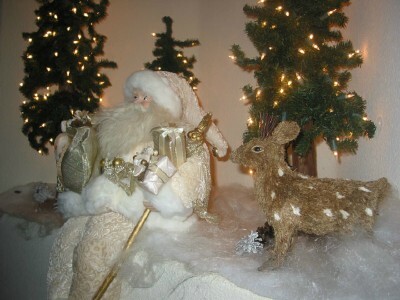 Faux snow, glass ornaments, pinecones, candy canes...the list is endless. 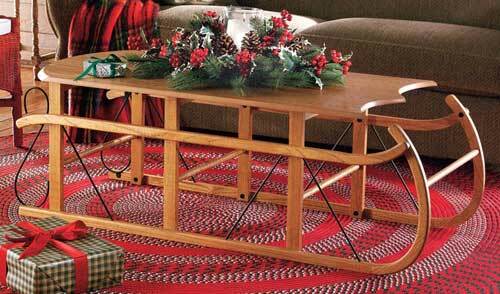 This sled makes a great conversation piece when used as a coffeetable. 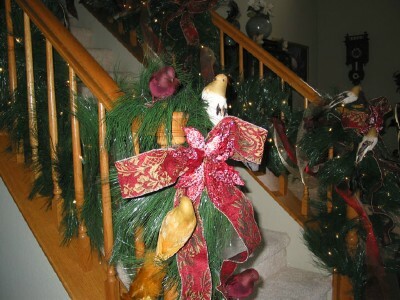 Yards and yards of ribbon...and feathered friends of all shapes and sizes! 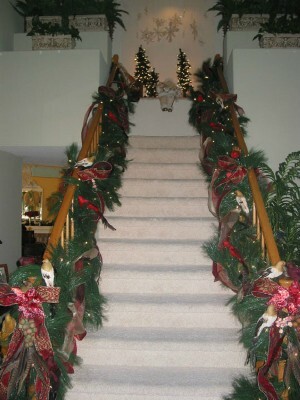 A Winter Wonderland at the Top of a Stairway! 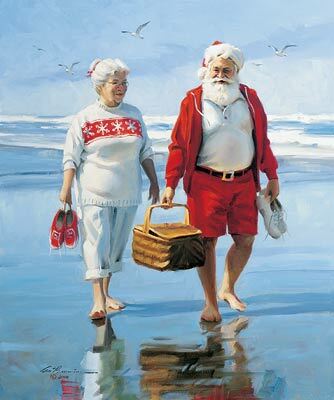 These flea-market finds help create festive holiday cheer and bring back childhood memories. I found this old sled and pair of antique leather ice skates, and knew they would accent my fireplace hearth and add some holiday whimsey. A small green wreath adds the finishing touch.